The Mainstays Garrett Metal Student Desk is designed with your hardworking student in mind. It features side shelving storage for textbooks, notebooks, binders and electronic gear, allowing students to keep their work space organized.The spacious desk top offers room for your computer work and writing comfortably. With an eye-catching silver metal frame and sleek brown particleboard surfaces, this piece is as stylish as it is functional. Keep this Student Desk in a bedroom, dorm room or an office without taking up too much space. 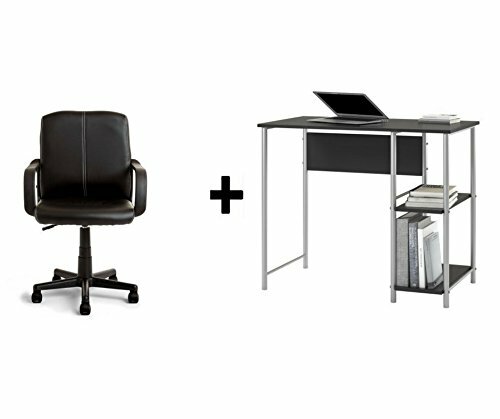 Mainstays Garrett Metal Student Desk measures to be 30h x 36w x 20d and requires assembly.